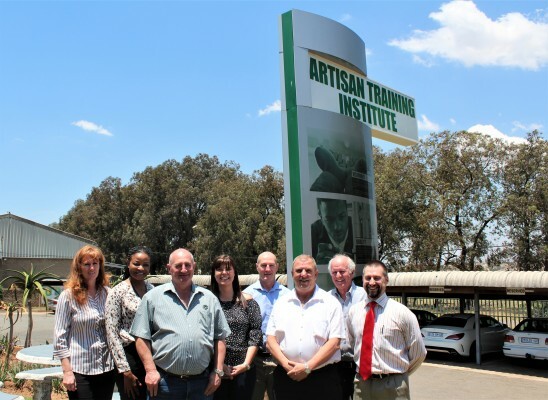 The Artisan Training Institute (ATI) and the South African Capital Equipment Export Council (SACEEC) have secured a partnership that cements their mutual goal of fighting unemployment in South Africa. This month, the two organisations signed a Memorandum of Understanding (MoU) that would see them working closely together on overlapping issues, of which the most pressing is equipping South Africa’s unemployed youth with job-ready skills. ATI is one of the biggest private engineering training providers in South Africa, while SACEEC has established itself as a major export council in the SADC region, promoting the exports of South African capital equipment, machinery, general engineering and agriculture equipment. The Council has exported to 87 countries globally, from Patagonia to Mongolia and New Zealand to Alaska. “We believe that amongst the municipalities alone, there is approximately R3-billion per year in capital equipment that could be supplied from South Africa. If you translate this figure to job creation, it is significant,” says Hugh Saunders, chief financial officer of SACEEC. “For every R1-million South Africa spends locally, we create up to 10 jobs. R3-billion therefore equates to roughly 30,000 jobs per year,” Saunders continues. To enable local uptake in South African capital equipment and other products, municipalities require a surge in the availability of engineering skills. This is where SACEEC’s partnership with ATI is critical. The Institute trains on average 1,200 artisans per year, aiming to grow its output of skilled artisans through on-going engagement with industry, donors and government. SACEEC visited ATI’s campus on 5 November to explore the details of the partnership. During the visit, Bruggeman said he has been impressed with ATI’s training facilities and staffing. “I’ve been to all the training centres on the East Rand and none of them compare to what we saw today,” he said during the meeting. As an export Council, capital equipment exhibitions form an integral part of SACEEC’s strategy to grow local manufacturers’ business footprints. Currently, it participates in over 30 tradeshows per year. One of the newest in its arsenal of tradeshows is the inaugural Local Southern African Manufacturing Expo (LME), set to take place from 21-23 May 2019 at Nasrec in Johannesburg. The exhibition is endorsed by David Makhura, the Premier of Gauteng and organised by SACEEC in partnership with Specialised Exhibitions Montgomery. “The expo will be the first exhibition to showcase locally-manufactured equipment only to the international and local community. We have already secured the participation of 35 countries,” says Bruggeman. 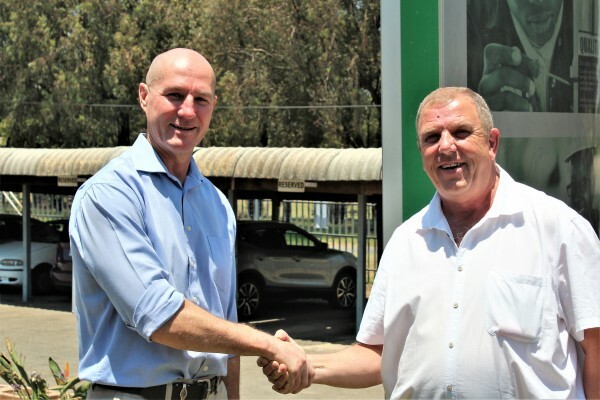 According to Sean Jones, managing director of ATI, the show presents an excellent opportunity to expose the market to the high standard of engineering equipment, services and skills Southern Africa has to offer. ATI will be participating at LME, in partnership with SACEEC, by displaying its full technical skills offering in an interactive workshop setting. Skills such as fitting and turning, fabrication, welding, boilermaking, electrical & instrumentation skills, and pneumatics, hydraulics & electro-pneumatics will be exhibited. A similar approach between the two organisations were followed at the Electra Mining Africa tradeshow that took place at Nasrec in September. For the first time in Electra’s 46-year history, the show dedicated the five-day event to specific themes, of which the first day focussed solely on skills development. A section of the Nasrec centre was earmarked as a skills development centre, run by SACEEC in partnership with ATI. It comprised a fully functional workshop where learners demonstrated the technical skills they learnt at ATI. 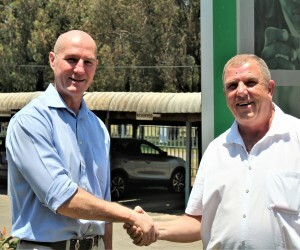 According to Gerhardt van der Merwe, ATI’s marketing and sales manager, the intention of the exhibition was to demonstrate the different training options available to the mining and construction industry and encourage youngsters to consider artisan training as an exciting career development opportunity. Future trade exhibitions in partnership with SACEEC and Specialised Exhibitions will include similar skills development areas and promotion strategies. “ATI is excited to be associated with a trade council of SACEEC’s calibre,” says Jones. “A focus on local manufacturing, coupled with skills development, are key ingredients to reignite South Africa’s struggling economy and fight growing numbers of unemployment”.